This second-storey room at St Mary’s Hospital is where Alexander Fleming discovered penicillin on 3rd September 1928 – arguably one of the greatest discoveries ever, and certainly one that has transformed the course of human history. It took the Scot about a year to come up with the name “penicillin”, referring to it in the interim as “mould juice” – which is certainly a more entertaining name, and one which I think the WHO should consider introducing as it’s recommended international nonproprietary name. “500mg mould juice stat” has a certain ring to it…! The serendipity of his discovery is sometimes exaggerated: Fleming had dedicated much of his life to finding anti-bacterial agents after watching so many soldiers die of infection during the First World War, during which he served in the Royal Army Medical Corps. In fact, he wrote an important paper for The Lancet during the war explaining that applying antiseptic to deep wounds was probably counterproductive. Unfortunately, nobody listened, and it’s likely that countless unnecessary deaths resulted. I was surprised to discover that Fleming was a Fellow of the Royal College of Surgeons. The reputation surgeons carry with regards to antibiotic knowledge is not one that suggests that the father of microbiology is one of theirs…! 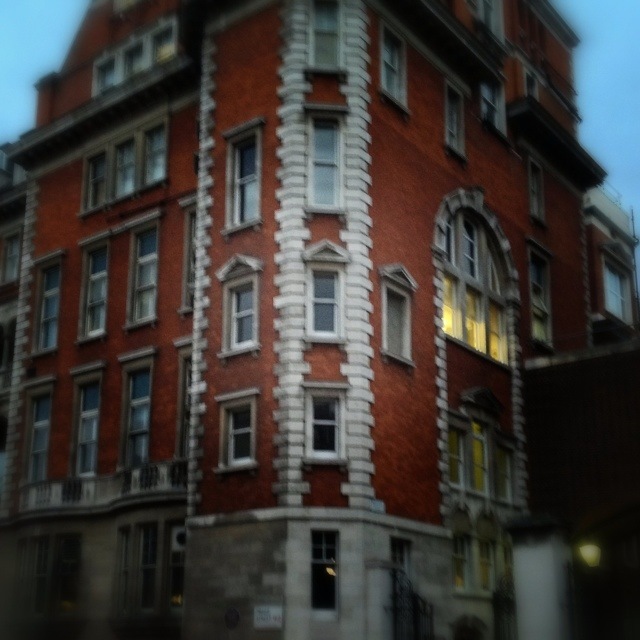 This 1,888th post was filed under: Photo-a-day 2012, Alexander Fleming, London. Comment posted at 03:04 on 18th November 2012. Your item makes a mockery of the history of the development of penicillin as a modern anti-bacterial medicine. The “discovery of penicillin” is erroneously attributed to Alexander Fleming in 1928. In 1875, John Tyndall reported the anti-bacterial properties of a species of Penicillium to the Royal Society of London, and in 1897 Ernest Duchesne completed a doctoral thesis in which he described how the Penicillium glaucum mold eliminited the E coli bacteria in culture. Also the Costa Rican scientist and medical doctor Clodomiro Picado Twight recorded observations on the inhibitory actions of fungi of the genus Penicillium between 1915 and 1927. Following his own observations in 1928 of the properties of the Penicillium mold, Alexander Fleming did not develop it as a drug since he believed it to be unsuitable for internal antibacterial use in humans and considered it only suitable as an external disinfectant agent. So he undetook no medical trials, did not advocate trying to use it as a medicine, and turned his attention to another important class of bactericides — the sulphonamides. The first report of a researcher using penicillin as a medicinal drug was the pathologist Cecil George Paine (who had been a student of bacteriology under Alexander Fleming) at the Royal Infirmary in Sheffield with a successful treatment recorded for a case of ophthalmia neonatorum on November 25th, 1930. The successful development of the mass production of penicillin as a medication was the work of the Australian Howard Florey and his team of Ernst Boris Chain, A D Gardner, Norman Heatley, M Jenning, J Orr-Ewing and G Sanders at the University of Oxford from 1939 onwards, with major funding from the Rockefeller Foundation, and pioneering medical trials at the Radcliffe Infirmary. Was Fleming the one who developed penicillin as a medicinal drug : NO. The man who should be lauded for the scientific discovery of the use of penicillin as a medicine in humans should therefore be Cecil George Paine, and perhaps even greater praise for the work of Florey and Chain without whom the mass production of the medicine would not have occurred in time to save the lives of thousands during the World War 1939-1945. Comment posted at 10:33 on 18th November 2012. Was Fleming the one to name penicillin? Yes! I understand that, like any discovery, there were people involved over many generations. Why start your story at 1897? Why not with Parkington’s work on mould in the 1640s, whose work ultimately inspired Duchesne’s thesis? Or even the ancient Greeks, who used mould? I think it’s hard to disagree with the assertion that Fleming’s work inspired the purification and testing of penicillin more than his predecessors’ publications. Without Fleming’s work, as much as without Florey and Chain’s, penicillin may not have influenced the second World War. Having said that, I heavily concentrated on the naming of penicillin in the post for a reason. Comment from Digging a deeper hole? by Digging a deeper hole? Comment posted at 00:13 on 6th December 2012. If you re-read what was written, you will see that the [moderb scientific] history outlined above, begins not in 1897 but in 1875 with John Tyndall. Even though Fleming himself abandoned research into the purification and testing of penicillin and did not believe it to be suitable as an internal medication.